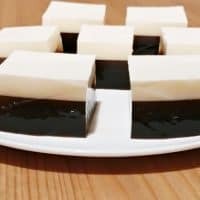 A multi-layer coffee jelly recipe that combines a layer of coffee gelatin and a layer of coconut cream for a light and refreshing dessert. It is no secret that I love my coffee. But, I think that I have found someone who loves their coffee even more than I do. Allow me to introduce you to Dorain. Dorian has turned his passion for coffee into a blog that explores all the ways to make coffee. Dorain, the coffee connoisseur himself, was kind enough to stop by today to share his multi- layer coconut cream and coffee jelly recipe with us. For more from Dorain, visit him at over at Coffee Brewing Methods. 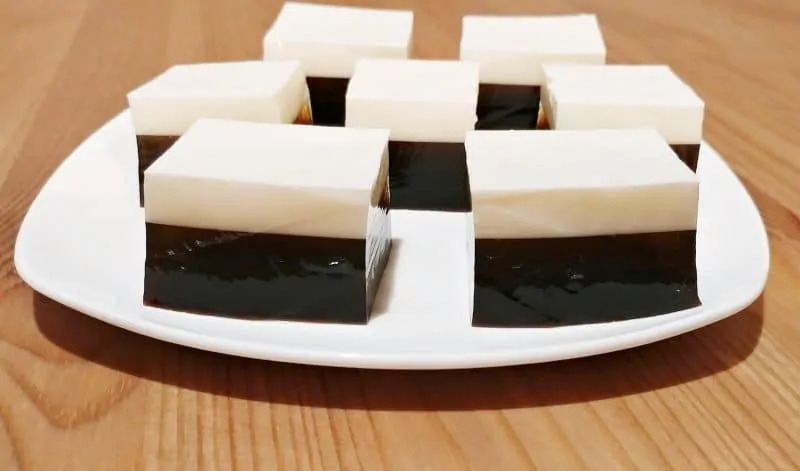 Coffee jelly is a unique way of getting caffeinated. Coffee jelly is a light and refreshing jelly dessert, great to be served as a dessert after a heavy meal. The dessert was once very popular in the US and England but now is more popular in Asia, where it can be found in coffee shops, restaurants, and convenience stores. 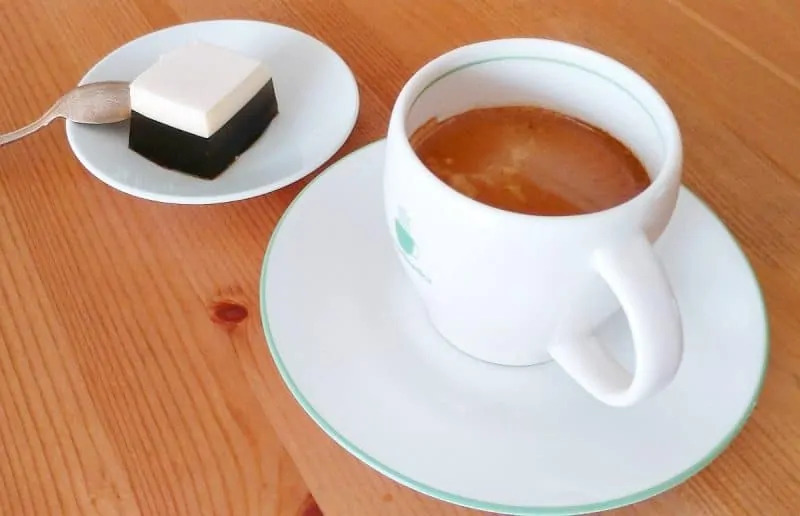 There are many variations of the recipe, starting with the simplest one, made just from coffee, sugar, and gelatin, to multilayer jelly, with multiple flavors on top of the coffee layer. No matter which version you use, coffee jelly is absolutely delicious and versatile. You can use it in your iced coffee along with iced coffee cubes and milk. You can make a delicious cake with whipped cream and vanilla, eat it as is, or create a multilayer beautiful jelly. 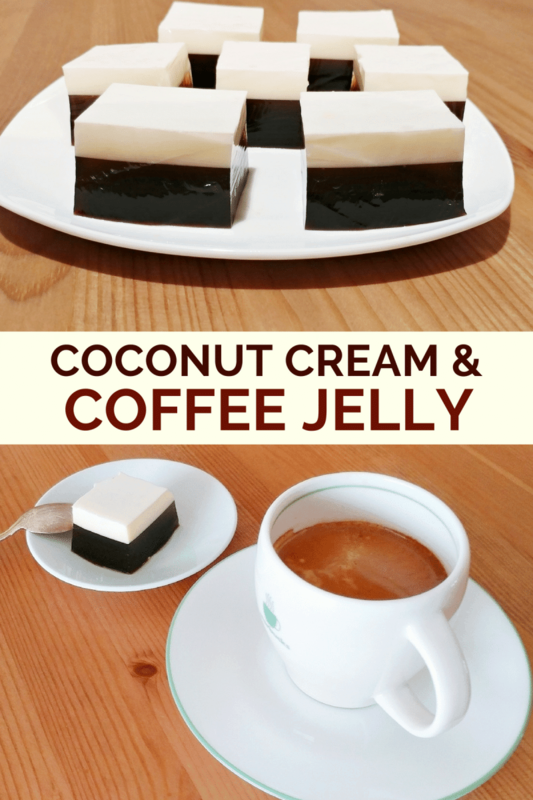 Today I will share my dual layer coconut milk – coffee jelly, a personal take on bulletproof coffee. I never liked the idea of bulletproof coffee; I always thought that butter should stay in the croissant, and coffee in the cup. This is why I wanted to be open to this modern nutrition idea and I created this recipe. If you are vegetarian, you can use agar agar powder; just make sure you use the right amount and use the instructions on the package. If you want to create multiple layers and not just two like in my recipe, you need to use the cooling ice bath so that the layers cool down fast enough. When you pour the subsequent layers, don’t pour directly on the jelly, use a spoon to pour on and the jelly will drizzle over the previous layers. For a delicate interesting flavor, use cold brew coffee. When using cold brew coffee, use it concentrated, and mix it with the gelatin liquid when is slightly cooler. A delicious coffee jelly recipe with a layer of coffee gelatin and a layer of coconut cream. Divide the gelatin sachets, two sachets for the coffee layer, and two sachets for the cream layer. For the coffee layer: empty two gelatin bags over ½ cup of cold water. Let the gelatin absorb some water, for a few minutes, and then add another ½ cup of hot water and ½ cup sugar. Stir for a few minutes until gelatin and sugar are completely dissolved. Put it aside and pull the two double shots of espresso. Pour it over the gelatin and stir until coffee is evenly mixed. Complete with water up to 2 cups (500 ml). Remember, each of the two gelatin bags can set up to 2 cups of liquid. 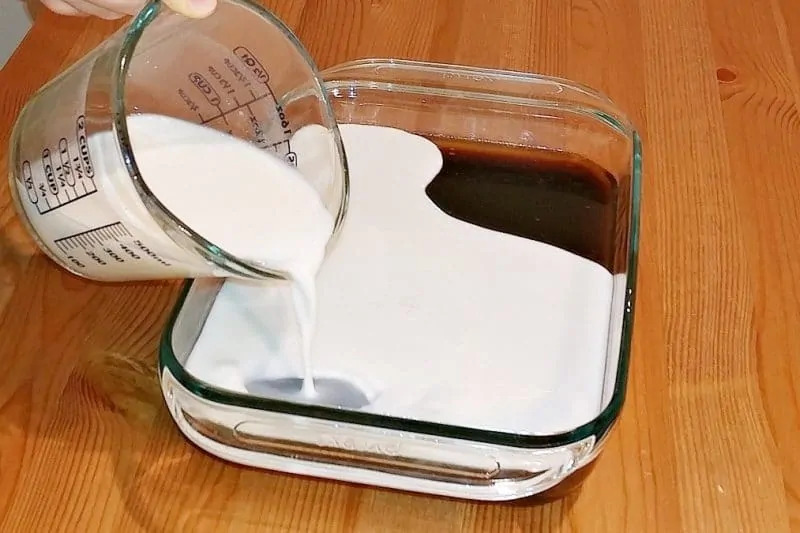 Pour the liquid in a glass pan, or anything that has a smooth surface. Calculate so that the layer is not too thin after pouring it. Move the pan into the fridge to let it set. If you want to speed up the process place the glass pan in a larger pan filled with water and ice. For the cream layer: empty the remaining two gelatin sachets in ½to cup of cold water. Let it absorb the water, and after a few minutes, add the remaining ½ cup of sugar and ½ cup hot water. Stir until sugar and gelatin are dissolved. In a separate bowl, mix the half and half with the coconut cream until it’s uniformly mixed. Pour the gelatin mixture over the cream, little by little, and stir continuously until the coconut cream is fully mixed with the gelatin. Check the coffee gelatin layer to see if it’s set. When you touch it with your finger, it should not stick at all. It doesn’t have to be very firm at this point, but at least partially set. This takes about 20 to 45 minutes. If it’s set, pour the coconut cream jelly, cover with plastic wrap, and place it in the fridge. Let it set properly for about 4 hours. When it’s all set and is firmed, cut it into square pieces and serve. I also added a coconut water layer, but because it's transparent you can't see it. I omitted that layer from this recipe for simplification. What a cute and fun idea, would be a great after-dinner treat. YUMMM, this is such a fun and great idea! This is such a unique treat! I love the color contrast. Perfect dessert for a coffee lover! I love jello-shots! These look so delicious and such a great party snack! Would love to try this. I am not sure if my husband would go along with this.